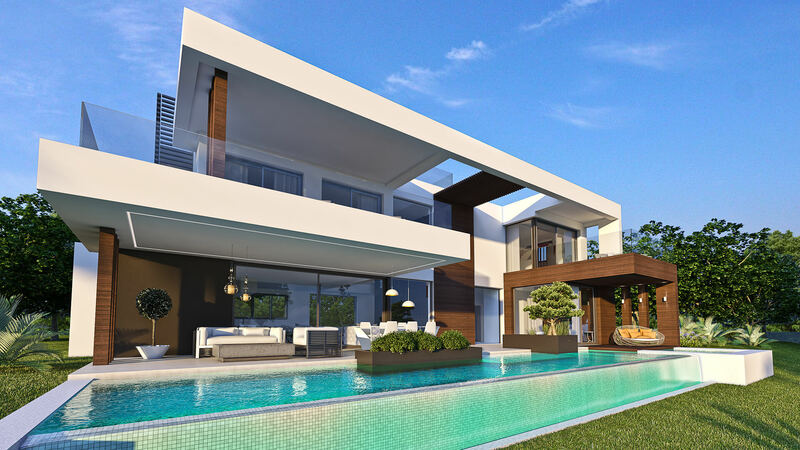 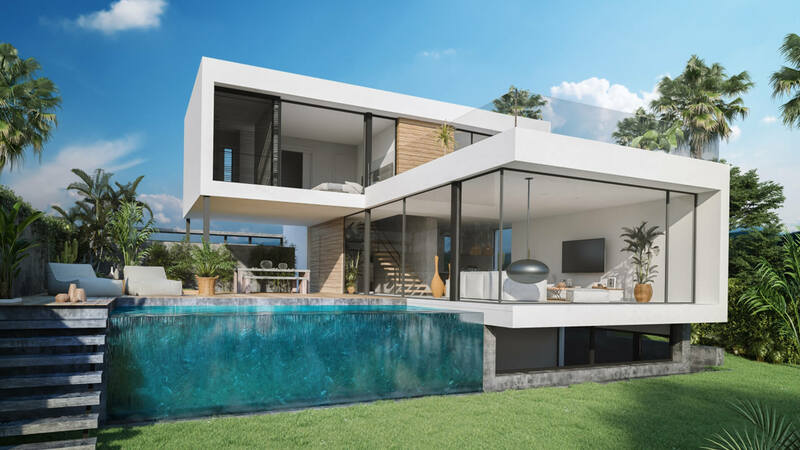 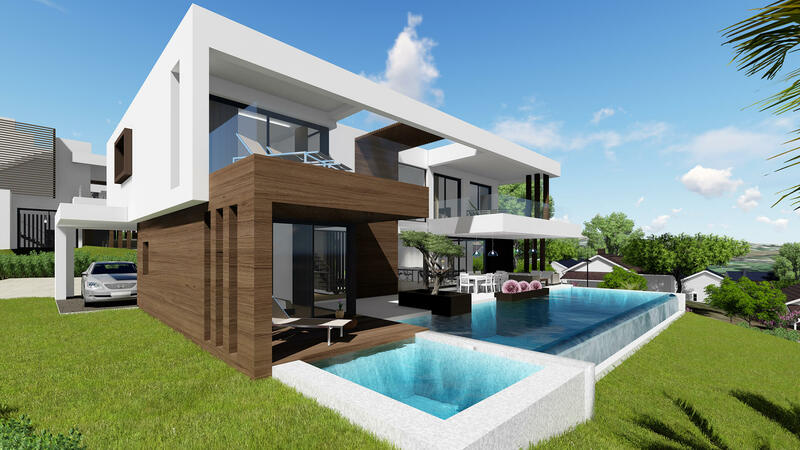 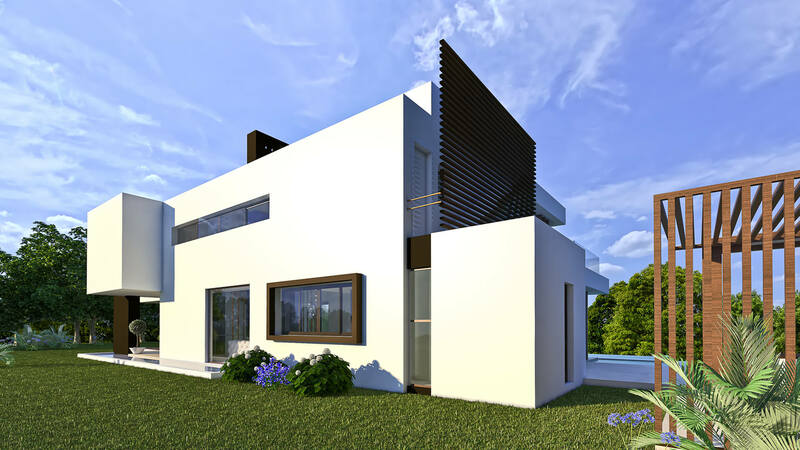 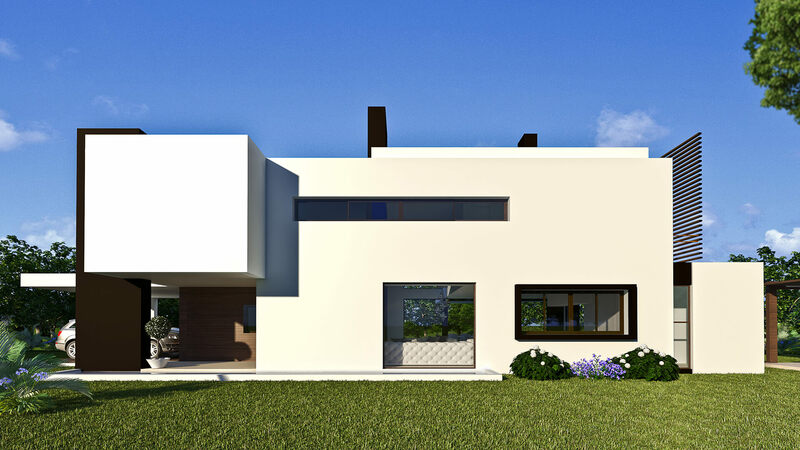 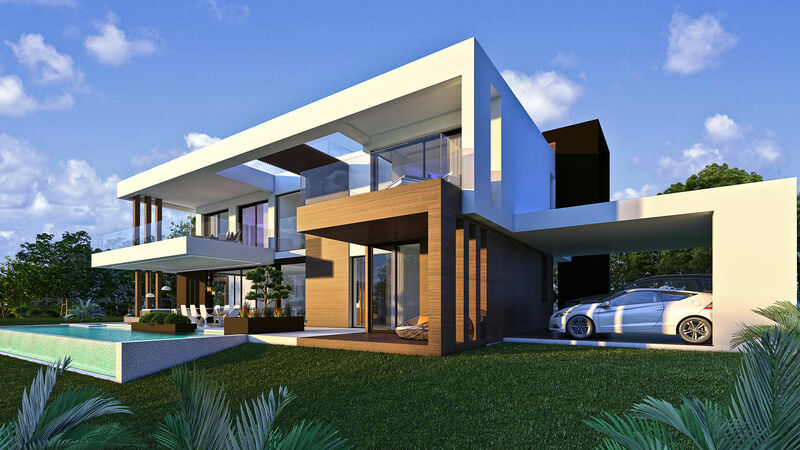 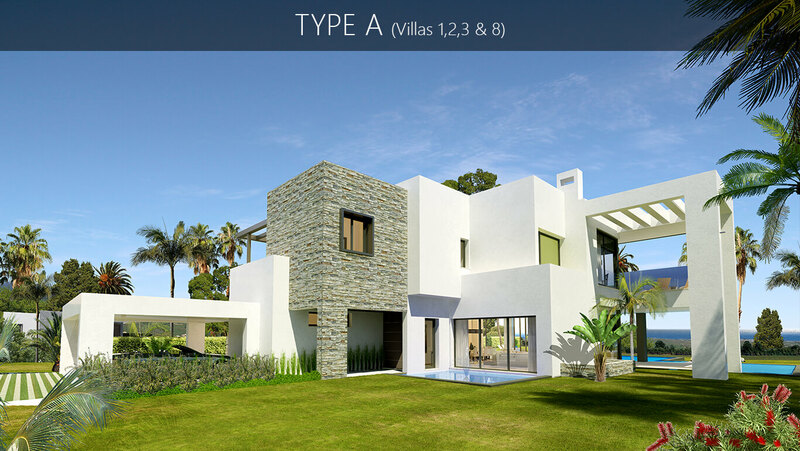 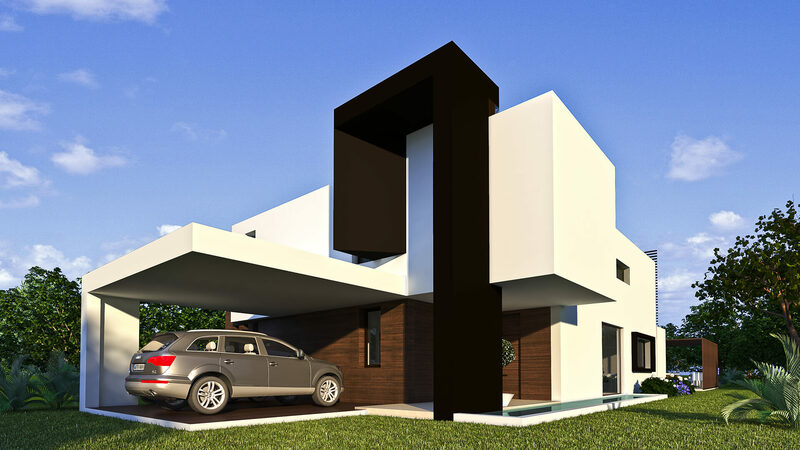 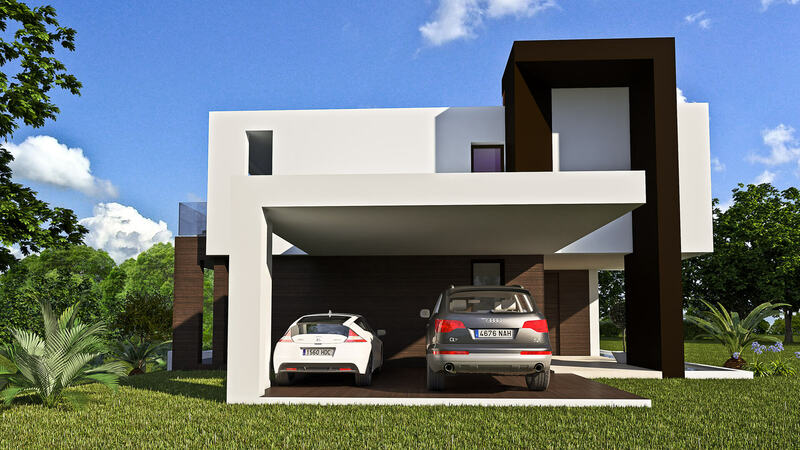 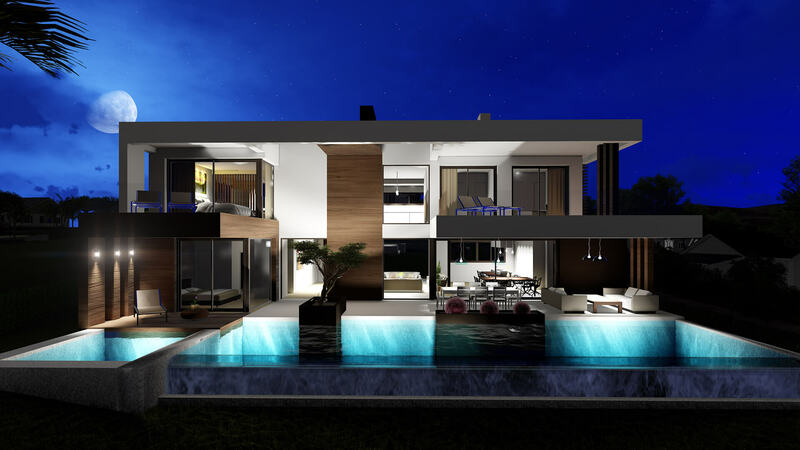 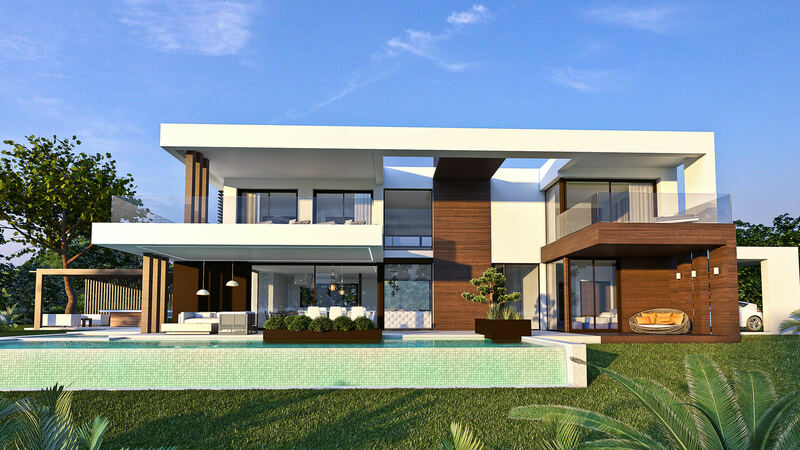 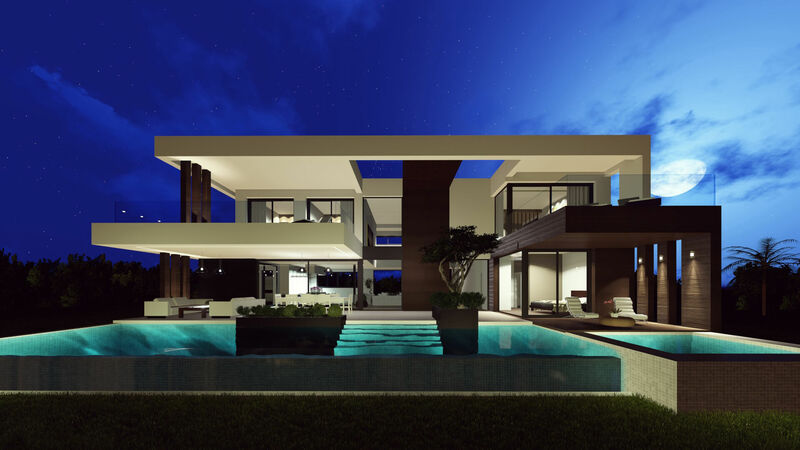 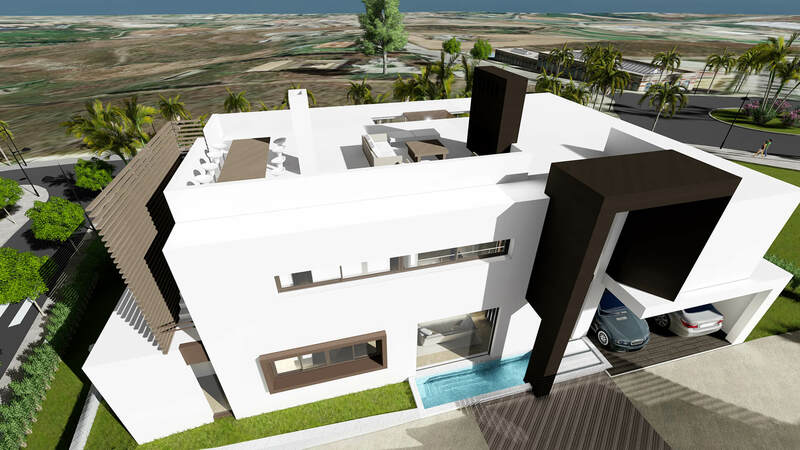 Villamar is a new development consisting of only 13 luxury villas, all sitting on their own large plot, up to 1,175m². 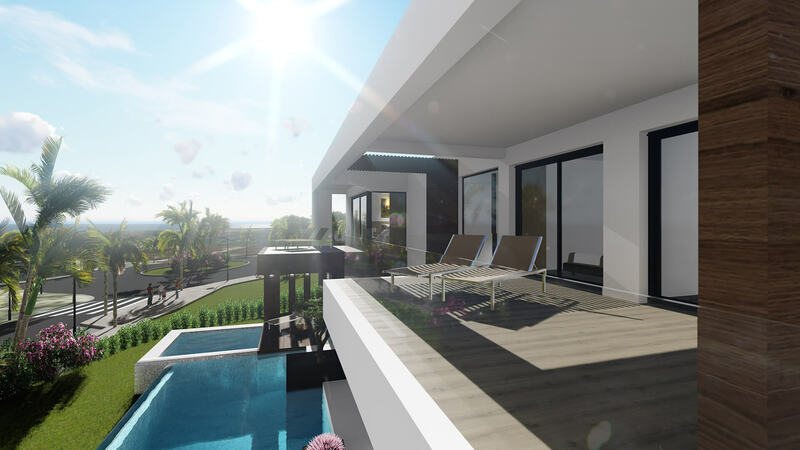 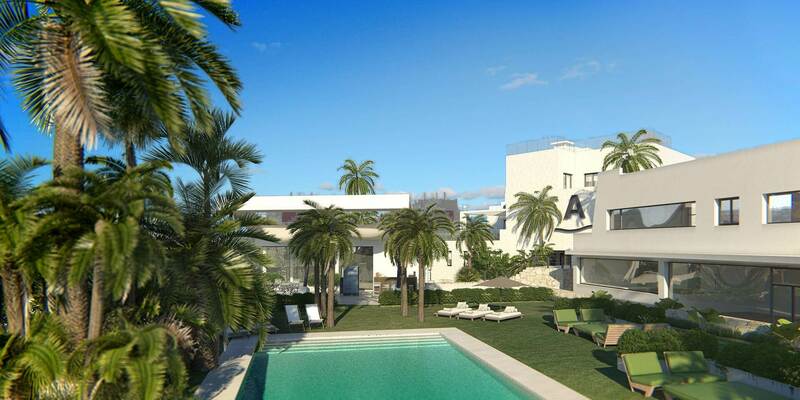 Situated in the village of Cancelada, on the New Golden Mile, the project is equidistant from both Marbella and Estepona centres. 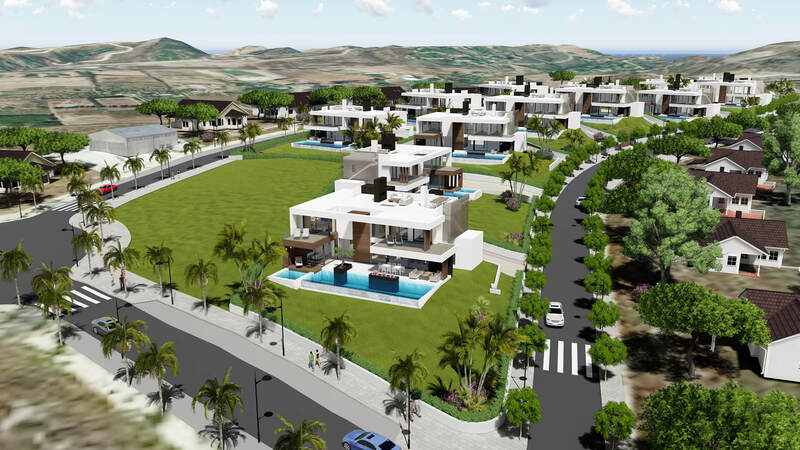 Cancelada also has many local amenities including supermarkets, banks, cafes and a gymnasium. 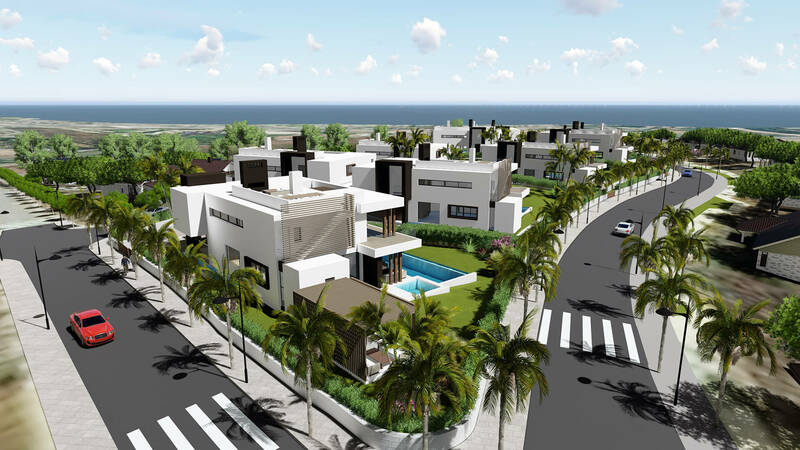 It is also only a short distance from the beach! 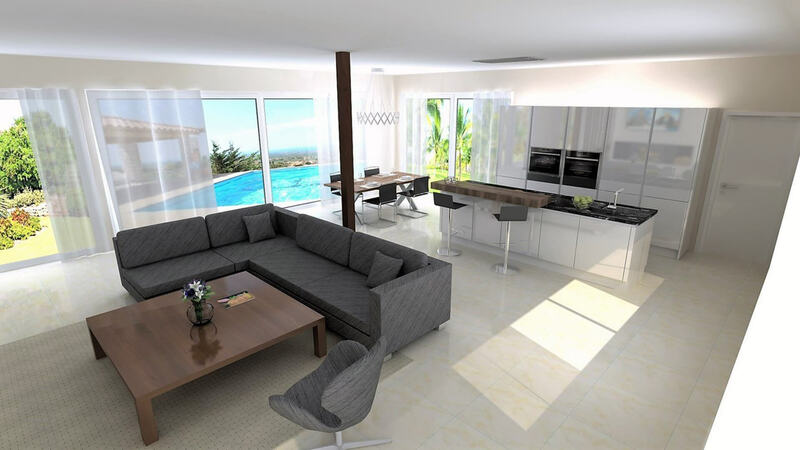 Each property offers a minimum of four bedrooms, each with an en suite bathroom and access to a private terrace. 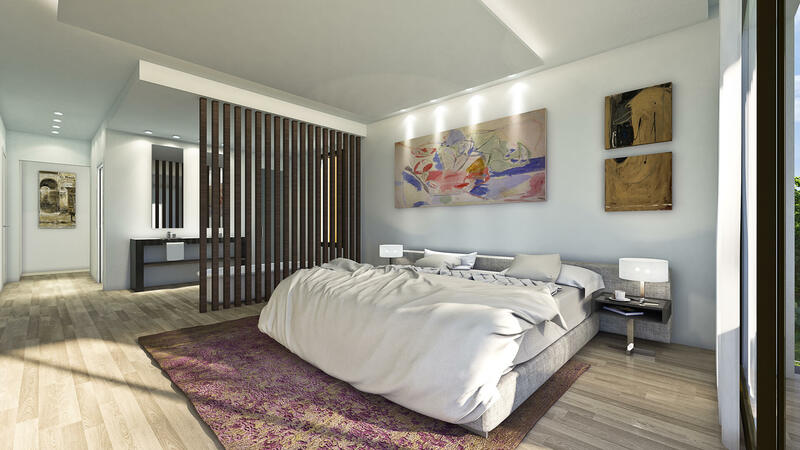 There are options to add more bedrooms as per your personal requirements. 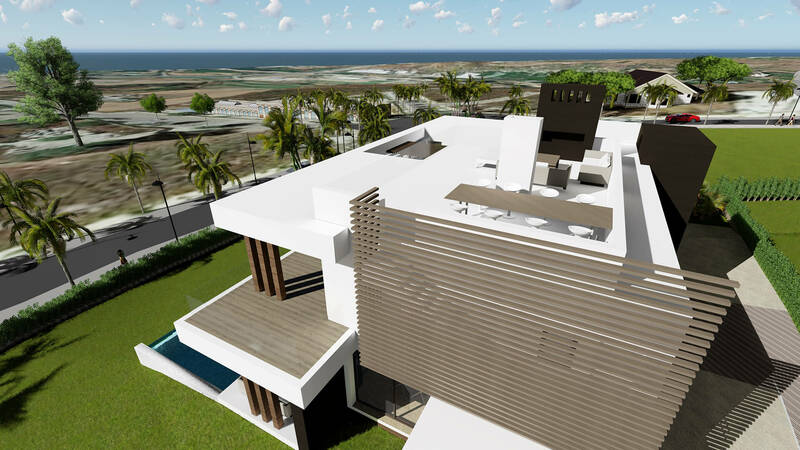 The large master bedroom suite of 44m² includes a luxury spa bathroom, walk-in dressing room and a 16m² terrace. 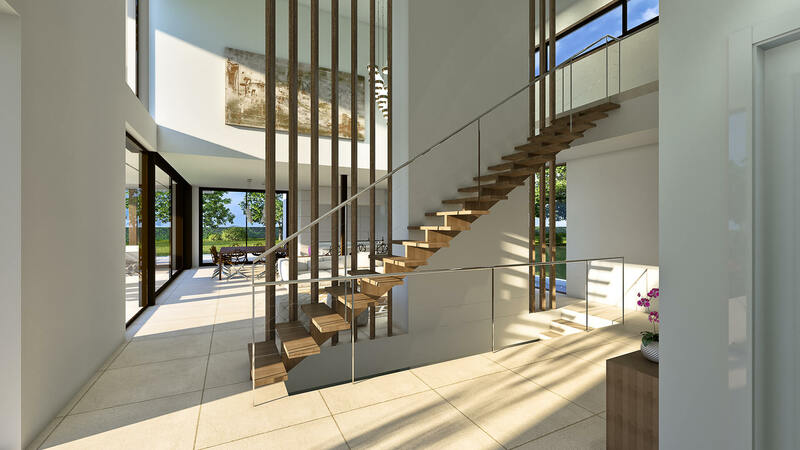 The room is divided with natural wood and glass partitions, giving the impression of a private spa. 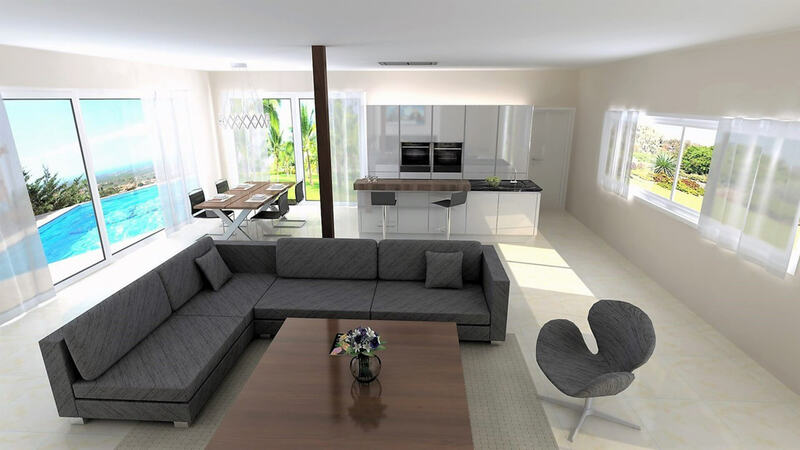 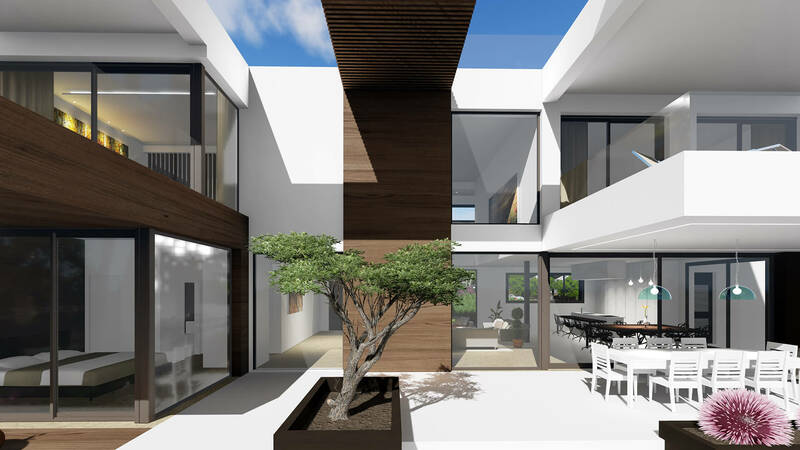 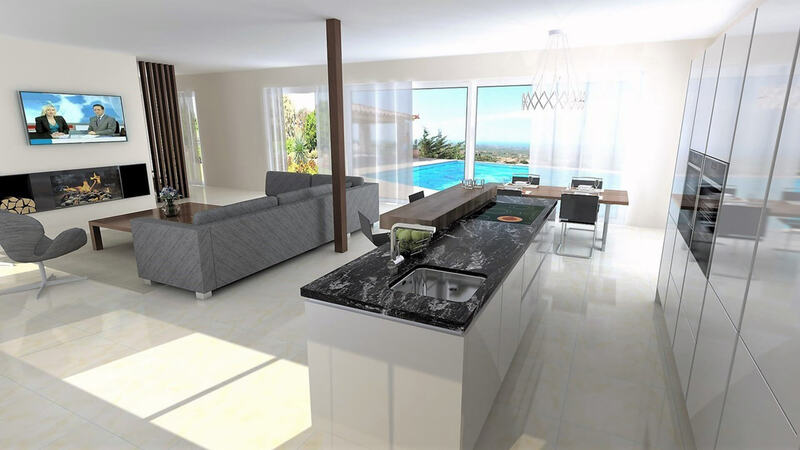 The large open plan kitchen, dining and living area form the hub of this modern luxury home. 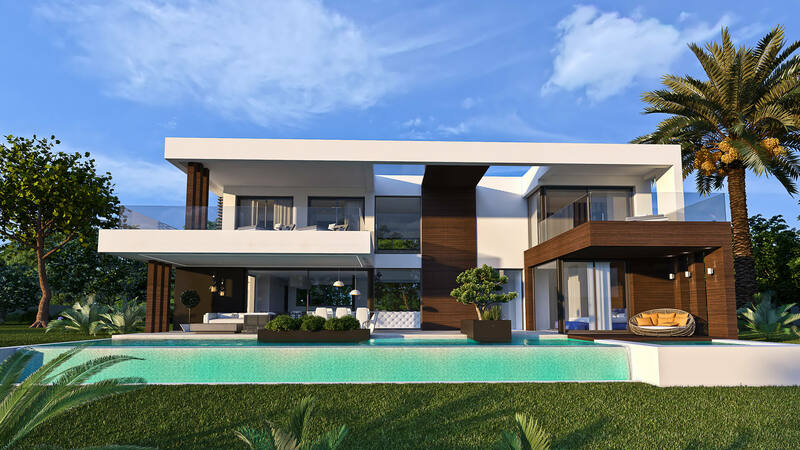 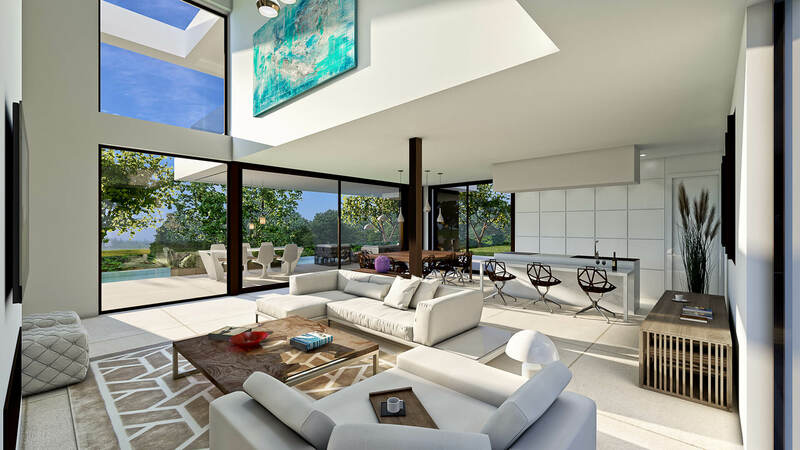 The transition from the interior living space, to the outside pool deck is seamless, thanks to large floor-to-ceiling windows. 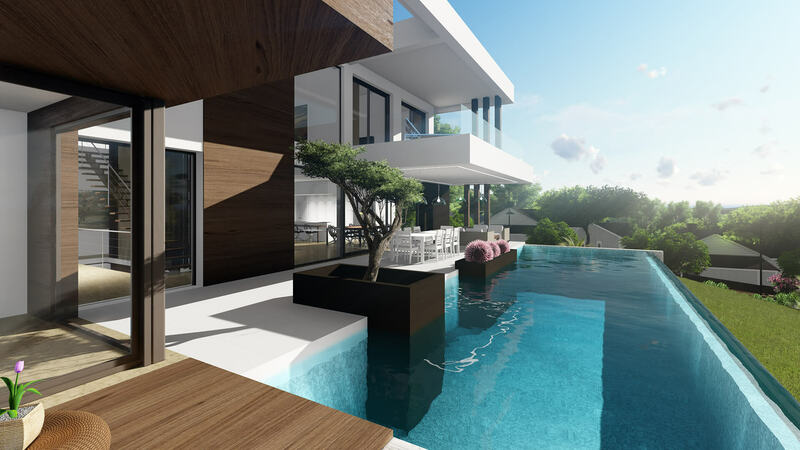 A natural stone water feature leads down to a sitting are and the 53m² infinity pool. 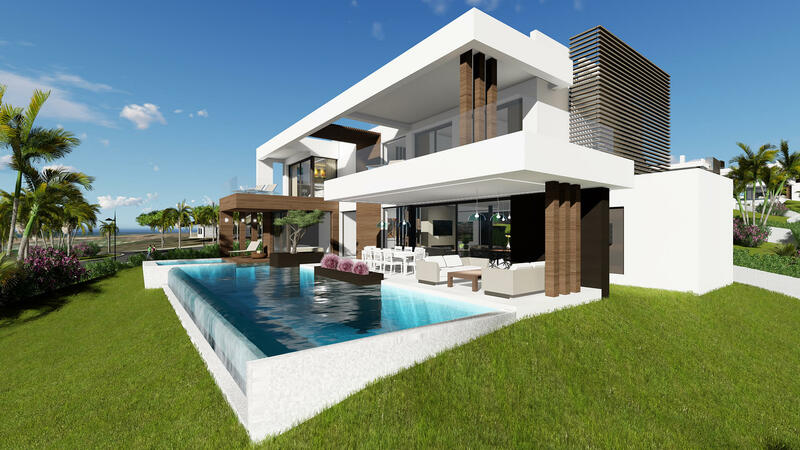 Each of the homes includes a large plot, landscaped with water features, lawns, fruit trees, palms and bamboo.